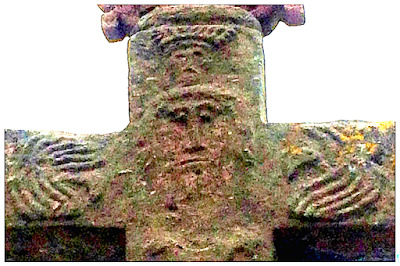 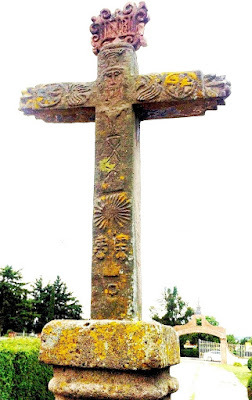 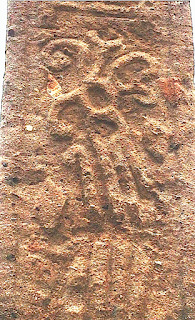 Aficionada and avid cross hunter Diana Roberts recently drew our attention to an archaic carved stone cross located in the village of San Pablo Huantepec, near Jilotepec in the northern marches of Mexico State. 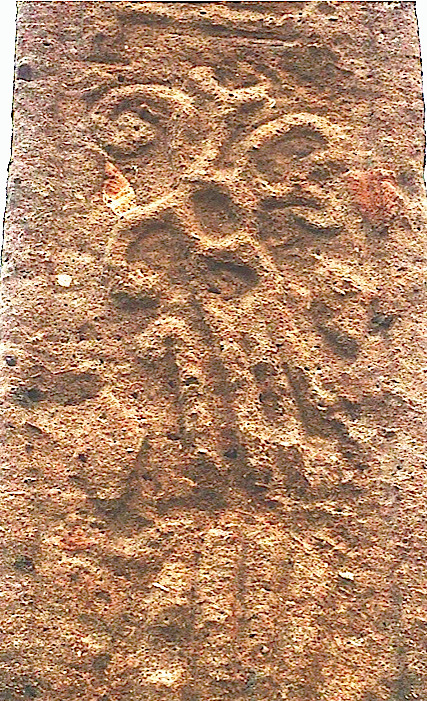 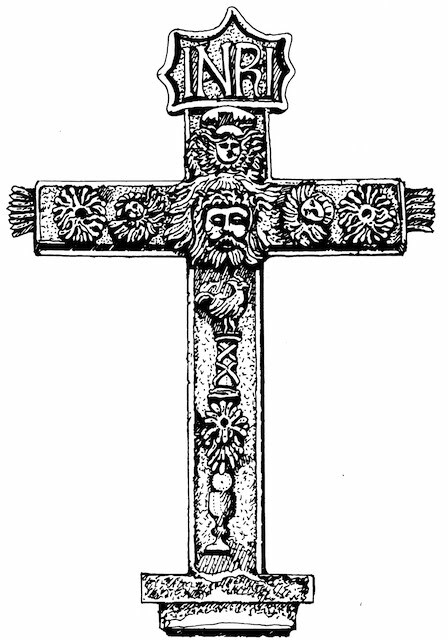 Probably dating to the 1600s or even the late 1500s, the unusual "tilted" style cross is densely carved on both sides with a variety of reliefs, some clearly representing classic Passion symbols, others not. 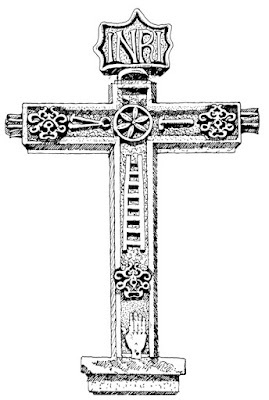 The face of Christ at the crossing, a star like crown of thorns, a rooster and column, a monstrance and a ladder, are identifiable if archaic in style, but other bird like and starburst motifs are outliers. 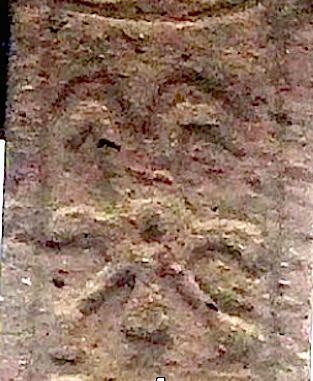 A second face above that at the crossing is also unusual, especially since it appears to wear a prehispanic headdress. 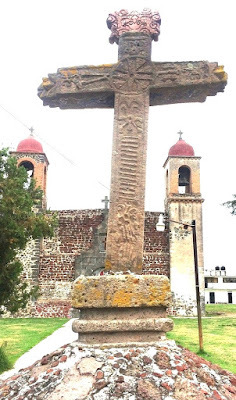 But of special interest is a recurrent, starfish like motif that may signify the ancient, paw like toponym of Huantepec: "Hill of the Feline Monster." 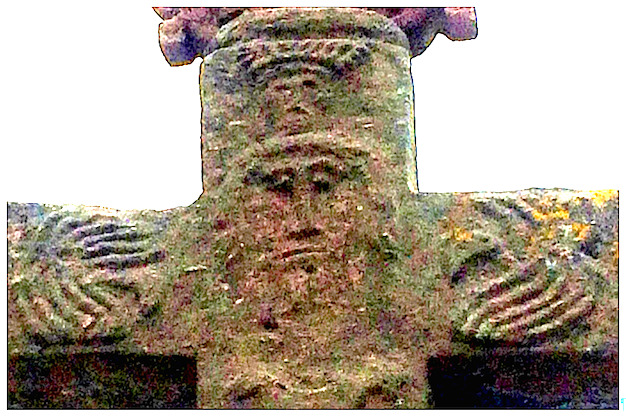 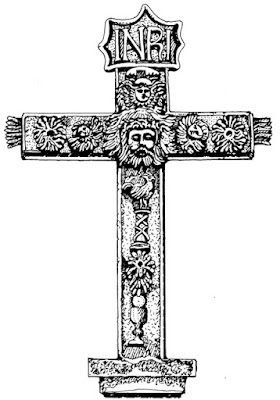 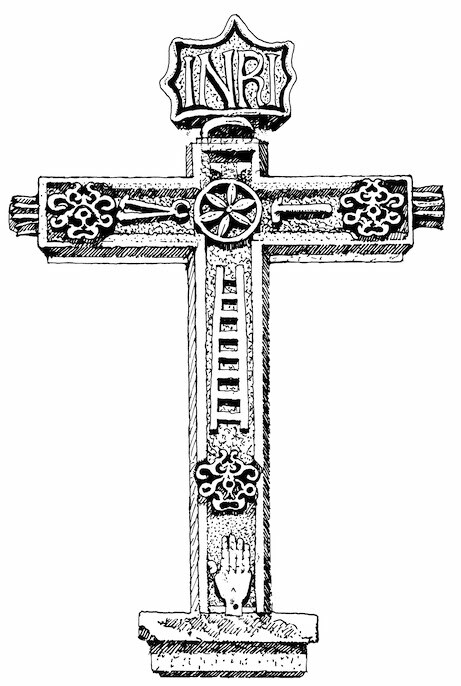 In addition, this cross and in particular its related motifs bear a close resemblance to those carved on the cloister cross at nearby S. Pedro & S. Pablo Jilotepec, which appears to be a much later, maybe modern, adaptation of the older Huantepec cross.